Security Guards & Security Services | Assets Protection, Inc.
Our management team has been working side-by-side for over 25 years. 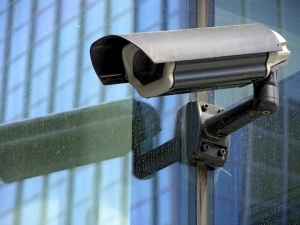 We have extensive experience with all facets of security, in virtually every type of facility. Our services are cost-effective. Because we are headquartered locally, we can deliver a superior level of service at a lower cost than our remotely-managed competitors. Our phones are answered by people, not by machines! The proactive, hands-on management technique taught to every supervisor is ingrained in our culture. Typically, the latest cutting-edge technology offers amazing new capabilities – but at an increased cost. Not so with Video Surveillance as a Service (VSaaS). Assets Protection, Inc.’s VSaaS approach lowers the cost of protecting your business with a state-of-the-art electronic surveillance system to less than the price of an around-the-clock security guard. And there are no upfront capital costs. You do not need to purchase or lease any equipment. Why Assets Protection, Inc ? We’re committed to the highest standards of quality, integrity and honesty. To us, it’s more than just a marketing phrase. We’ve created the best and most effective security services available, delivered by highly trained and motivated people. We’re responsive, and can develop innovative solutions to meet your security needs at fair and competitive prices. We look forward to assisting your company! Let Assets Protection, Inc. evaluate your security situation to identify potentially vulnerable areas of your facility. Should the solution require security guards, electronic monitoring, investigative services or some combination of these services, Assets Protection has the experience and resources to keep your business safe. We look forward to hearing from you! Male pattern baldness, or the androgenetic alopecia illness as doctors like to call it, is mostly caused by two reasons. These are the hormonal imbalance and the heredity of the patient. Late in 1997 the popular company Merck & Co. introduced a new medication called Propecia which aimed to serve as a solution against hair loss.